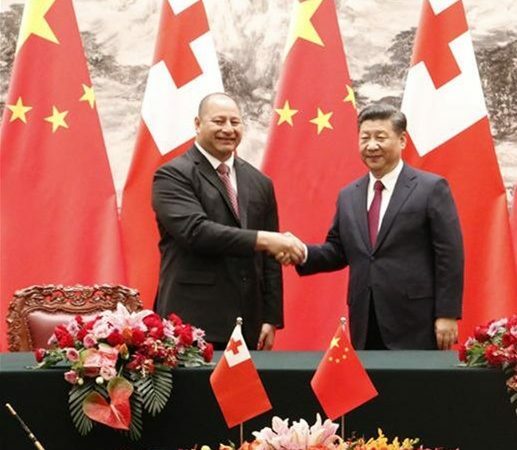 On November 2, 2018, Chinese President Xi Jinping and Tongan King Tupou VI exchanged congratulatory messages to mark the 20th anniversary of the establishment of diplomatic ties between the two countries. In his message to King Tupou VI, Xi said that bilateral ties have grown continuously with the expansion of practical cooperation and people-to-people exchanges over the past two decades. Xi said that he and King Tupou VI achieved important consensus on promoting bilateral exchanges and cooperation on a wide range of areas during the king’s state visit to China in March this year, which outlined the direction for future bilateral ties. Xi said that he greatly values China-Tonga relations and is willing to make use of the opportunity of the 20th anniversary of diplomatic relations to strengthen exchanges and cooperation and constantly scale new heights in the relationship, so as to better benefit the two peoples. In his congratulatory message to Xi, King Tupou VI said high-level exchanges between the two countries are robust, cooperation is expanding, and mutual understanding and friendship between the two peoples are growing. The king also sent his wishes for China’s prosperity and the well-being of the Chinese people. Wang Yi, State Councilor of the Chinese State Council and Foreign Minister of China and Honorable Akilisi Pohiva, Prime Minister and Minister for Foreign Affairs of Tonga also exchanged congratulatory messages on the 20th anniversary of China-Tonga diplomatic relations on the same day. In his message to Prime Minister Pohiva, Wang Yi said that over the past 20 years, China-Tonga relations have maintained good momentum of development with steady progress in exchanges and cooperation in various fields, which has brought tangible benefits to the two peoples. In recent years, leaders of the two countries have been meeting each other and reached important consensus on consolidating and advancing China-Tonga Strategic Partnership. The Chinese side is ready to make joint efforts with the Tongan side to keep the momentum of top-level contacts, deepen pragmatic cooperation, and enhance coordination and collaboration in the international and regional affairs so as to push for greater development in the relations between the two countries. In his congratulatory message to Wang Yi, Prime Minister Pohiva said that the last two decades have witnessed successful cooperation and understanding in various fields to further strengthen the friendly and cooperative relations that happily exist between the two countries, and he looks forward to the comprehensive strategic partnership of mutual respect and common development that will benefit the two Governments and peoples. Prime Minister Pohiva also conveyed his best wishes for the continued progress and prosperity of China.